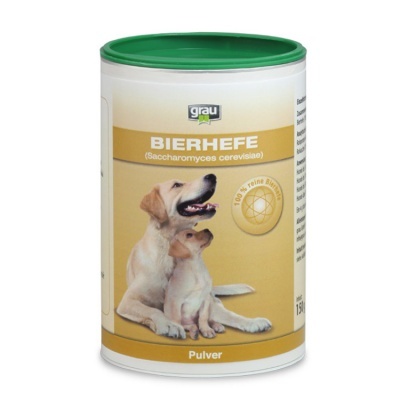 The colour of the coat and the clear accentuation of the nasal plane, upper lips and eye rims are an important breed characteristic. 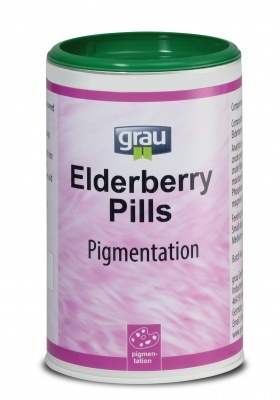 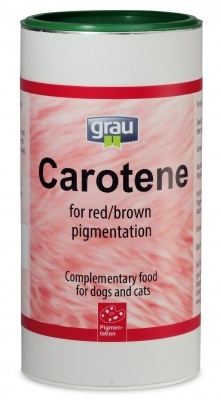 Carotene supports the reddish brown pigmentation. 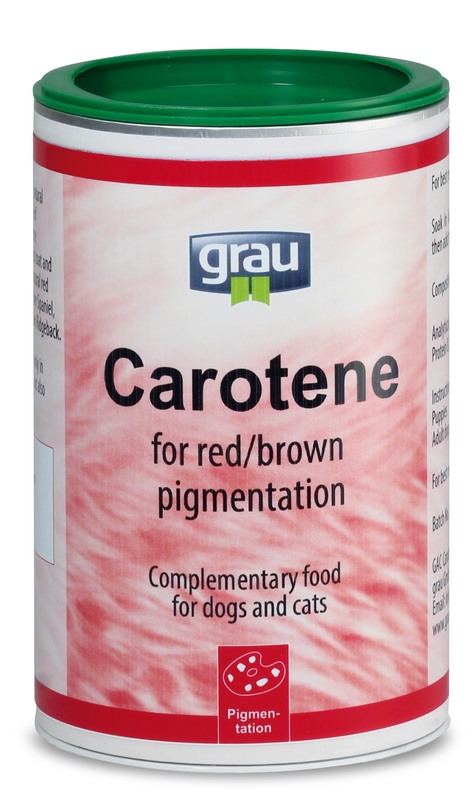 This natural product is made out of 100 % organic carrots and contains a very high percentage of provitamin A (beta-carotene). 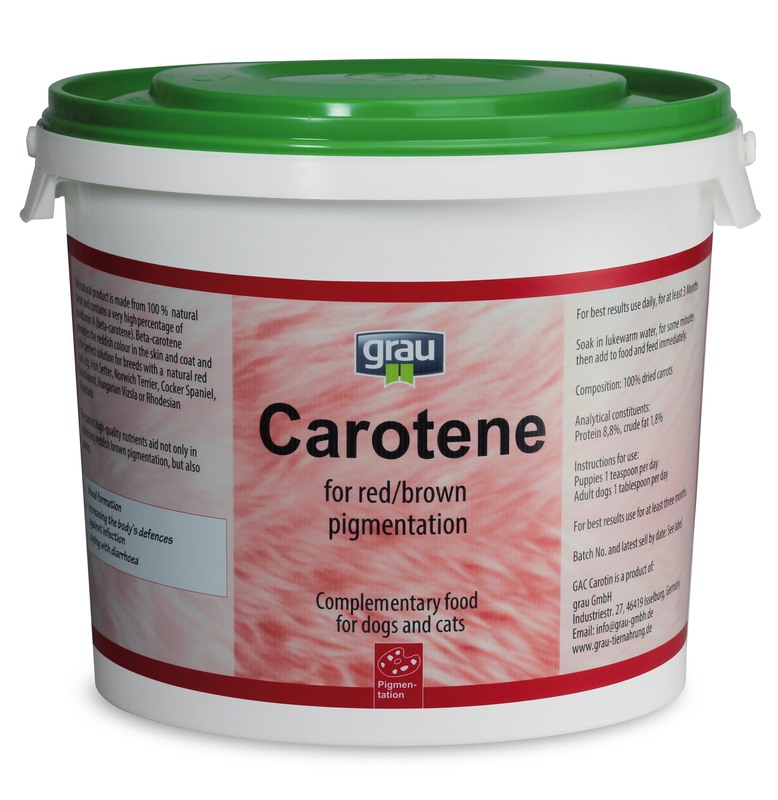 This beta-carotene is responsible for the reddish colour of skin and coat and thus the perfect solution for breeds with a red coat. 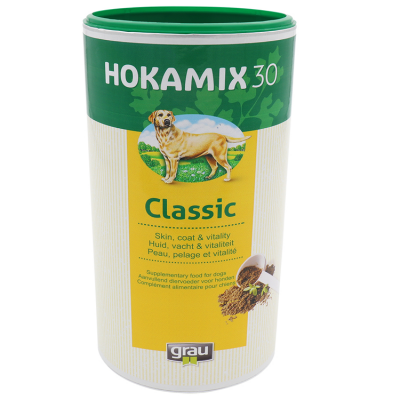 Simply soak the granules in slightly warm water and add it to the daily food. 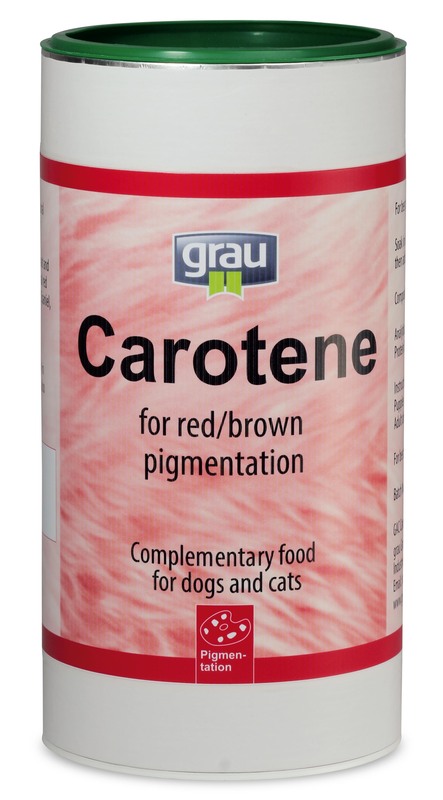 After about 2 weeks you will be able to see the colour becoming more intense.